late Summer hutch decor here. that I would share her more often. show her off again today. been bitten by the Fall decorating bug. down from the garage and so it began. It was quite the flurry of activity! decor strewn all around me. It was just like almost like Christmas for me! with my china hutch this year. and went with some other decor too. although, you just know I did buy it on sale. pumpkins and smaller pumpkins and gourds. on top of the hutch. 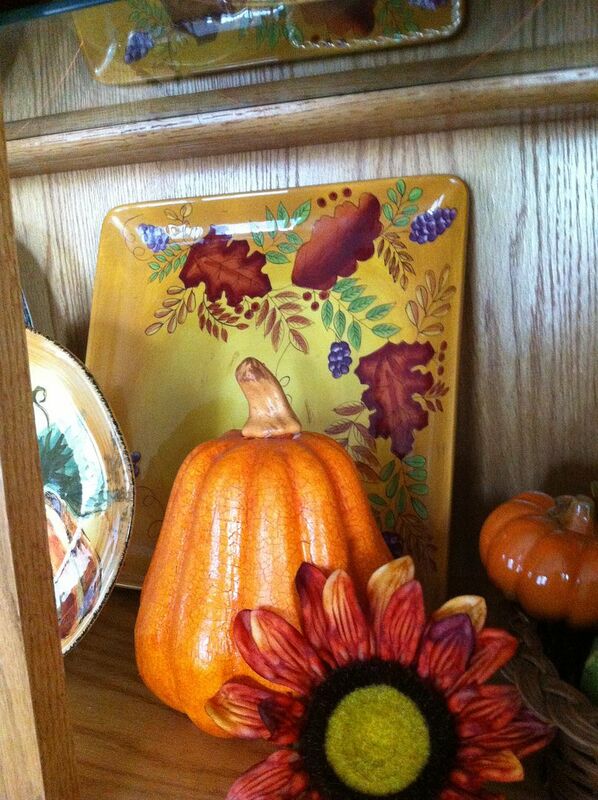 In the back, I placed one of my favorite Fall platters. and I always have to display it somewhere. another favorite platter finish off this shelf. 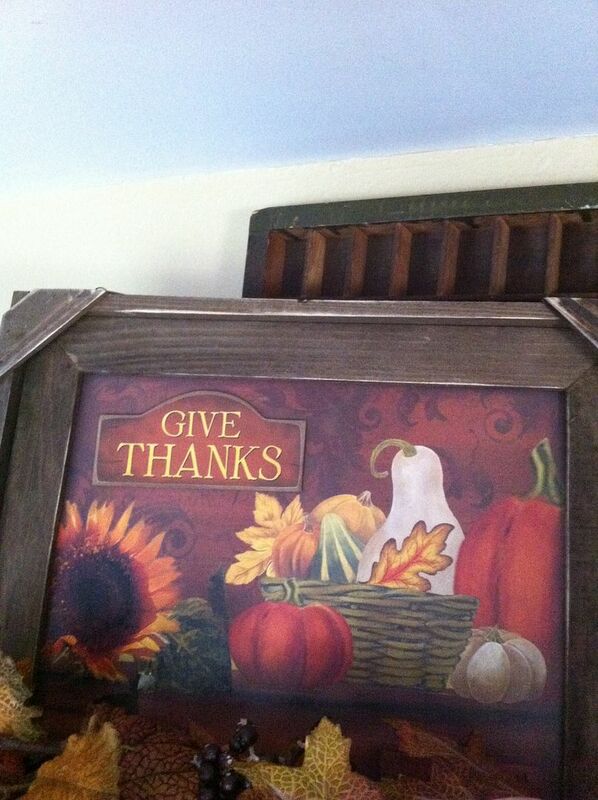 I saw it at Hobby Lobby. Autumn sign I made and shared a few weeks ago. that are Mr. B's holiday favorites. Your hutch looks beautiful. I love the dishes. Kathe your hutch looks so pretty! 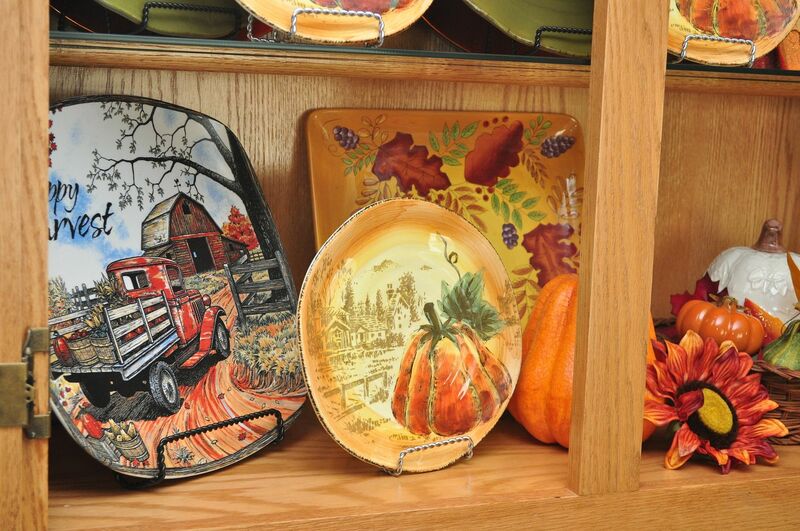 I love all your fall platters and dishes! I like how you've added other decorations also, adds lots of interest! Great Job! Lots of great seasonal pieces in the hutch Kathe. Well done! Great job! 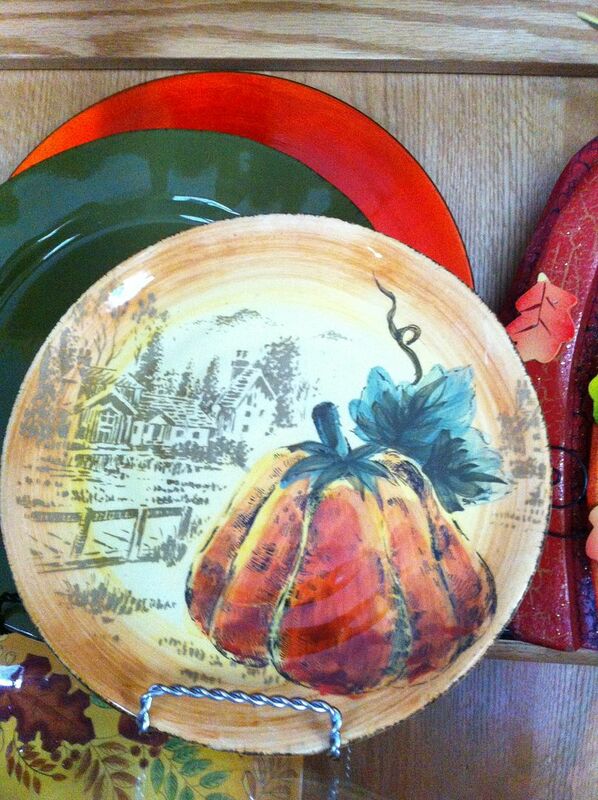 I really love the pumpkin salad plates! So cute! What a lovely seasonal display. Guess I should at least decorate one of my 4 hutches for Fall. Wow! That came out great Kathe! i love all of the plates! You are so creative. It looks very tastefully done. I wish we had Hobby Lobby around here. I love what you did here- so pretty! Your decorations are lovely. Hobby Lobby is an awesome store. 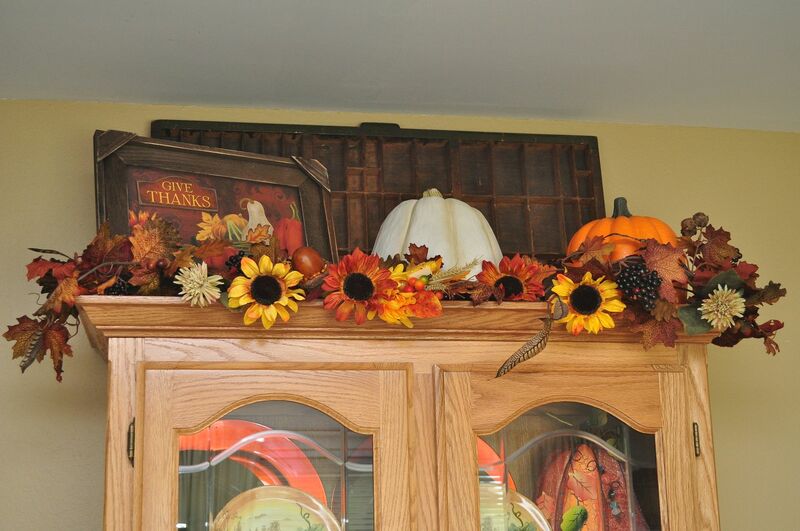 Hutches and cabinets are always crying out for holiday decorations. 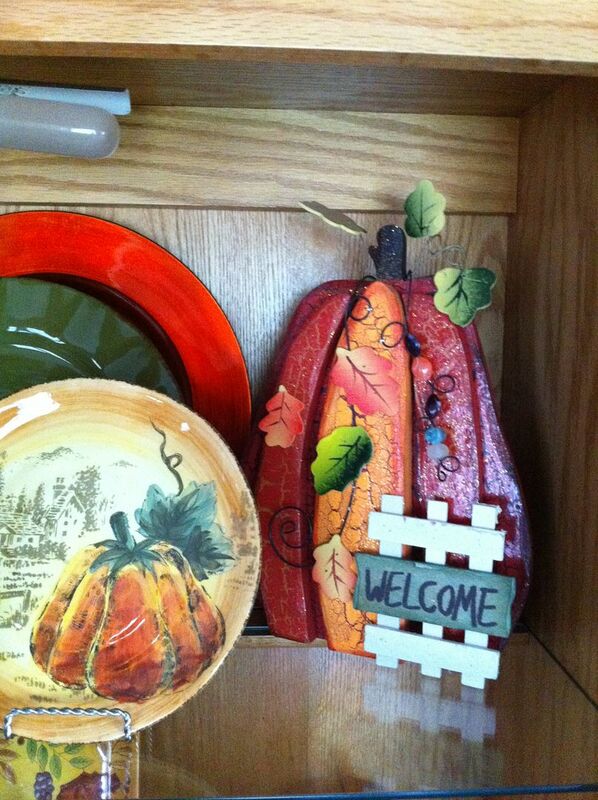 I love the color of your hutch, it really works well with the colors of Autumn! You have some beautiful decorations! I'm getting lots of ideas! Hugs! She looks gorgeous all dressed up for fall! I love the layers of chargers in the back to make the plates stand out, and your tray collection is wonderful. I feel a trip to Hobby Lobby coming on! Gorgeous decor!! Thanks so much for sharing your ideas. I am your newest follower from the Thursday Favorite Things blog hop. Stop by and visit me some time at www.proverbs31motherhood.blogspot.com. God bless you! 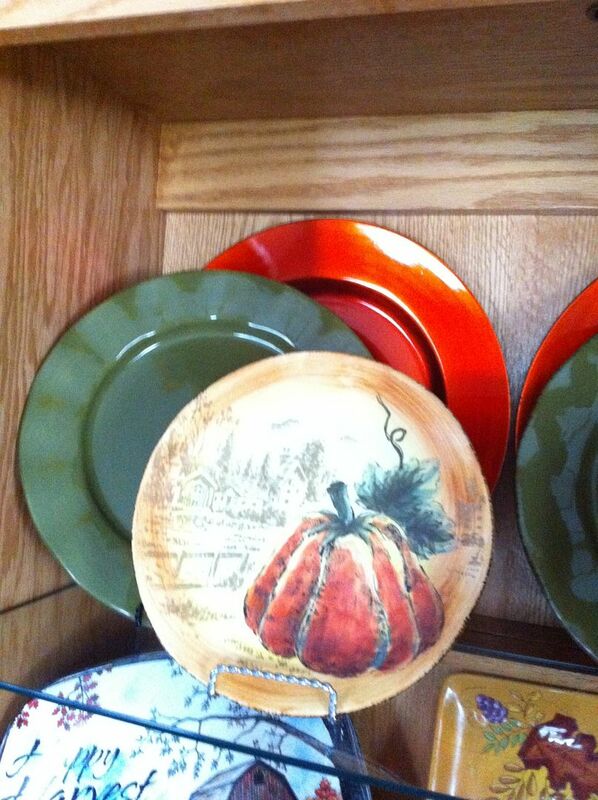 Great look Kathe ... Oh how I love those pumpkin plates and everything is so pretty and colorful. Wonderful Kathe! I especially love your layered look of your chargers and pumpkin plates. 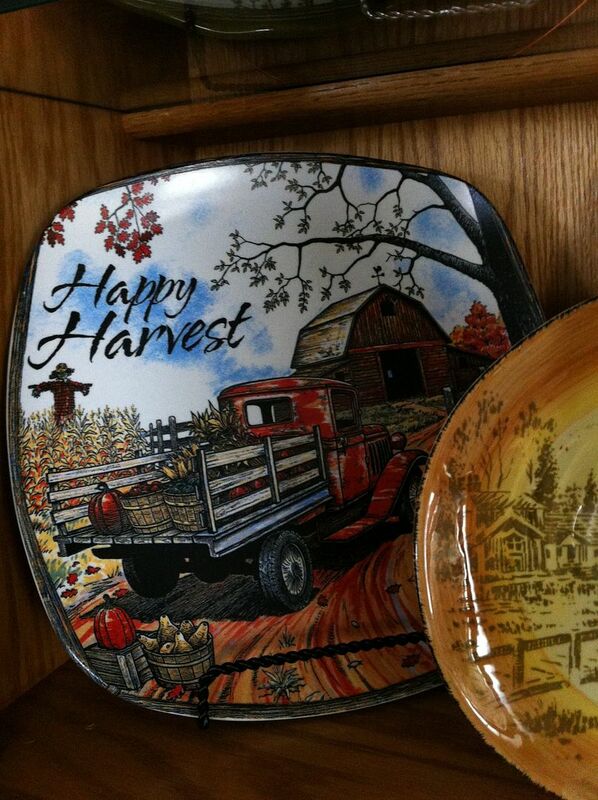 The farm platter is wonderful to signify your hubbies childhood. Can't wait to see those tarts and goodies! Thanks for sharing with SYC. 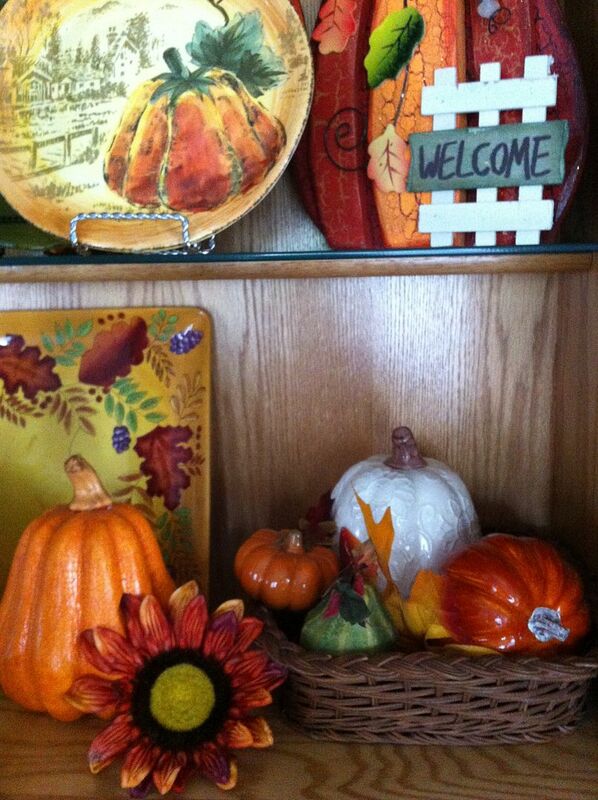 Love all your touches, those ceramic pumpkins are beautiful! Your fall decor is beautiful! Beautiful! The fall leaves and flowers cascading from the top really set it all off! Beautiful! I love all the fall colors. LOVE, LOVE!!! I so wish it looked like fall here in Texas. For the first time, in a long time, it actually feels like fall! Does the mid 80s count for fall weather? I LOVE the old printer's tray!! I've seen several and almost bought several, but I never know what I'd do with one if I had it! I like what you did with it! Perfect!! I always thought I'd have to put something in it! LOVE!! Thanks so much for linking up at The Rustic Pig today!! Hugs!! 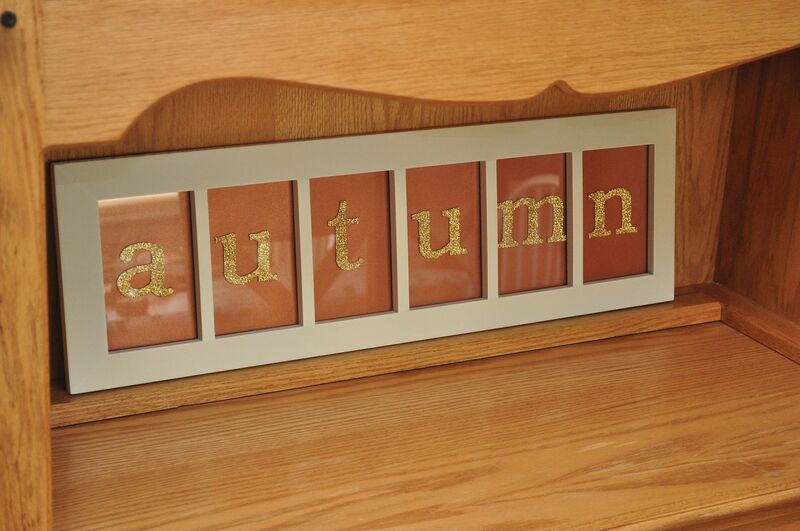 Your hutch is decorated so pretty - love the sunflowers and the autumn word frame. 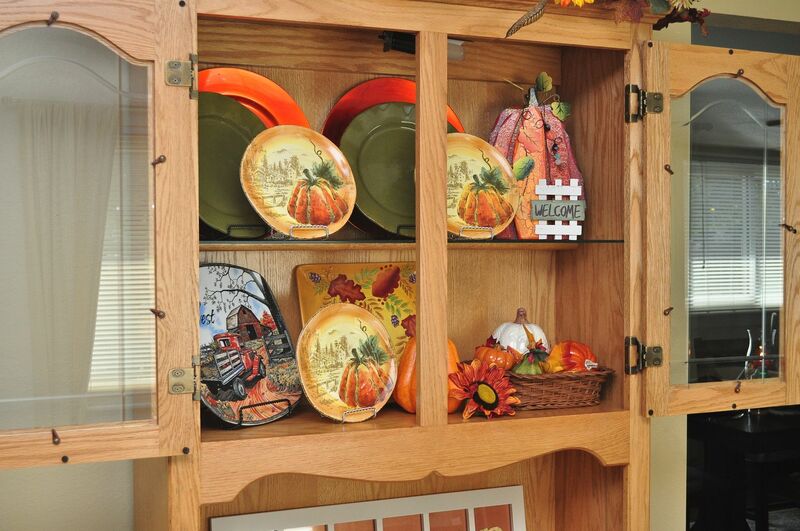 Your hutch looks lovely in it's fall decor. Thanks for sharing at the All Star Block Party. All your fall touché are fabulous Kathe! I LOVE your fall decorations. Your hutch is beautiful as usual. Thanks so much for linking up to Creative Thursday. Can’t wait to see what you share this week! Have a wonderful week. Thank you so much for sharing your Fall decorations! What a treat! What a gorgeous hutch! I love that you mixed and matched the decor with the plates. Thanks for sharing on Tout It Tuesday! Hope to see you tomorrow. 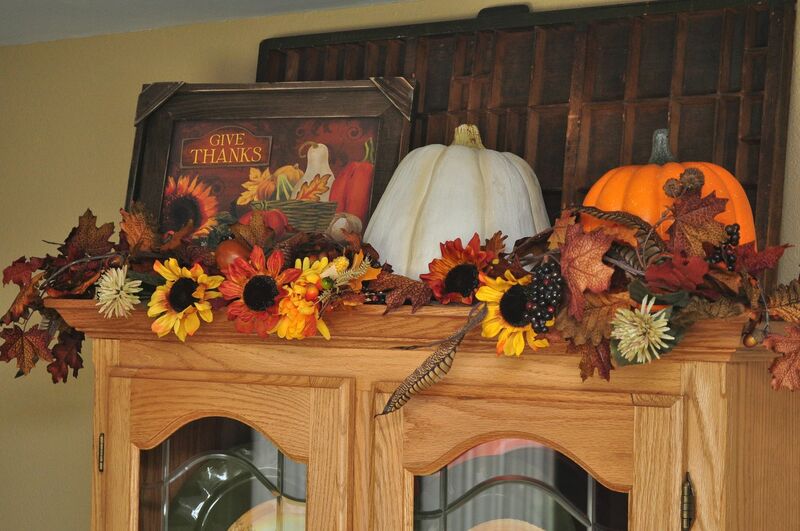 Your hutch looks so pretty all decked out for fall! Thanks for sharing it at Gettin' Krafty With It! I think you have beautiful colors in your heart too!!! !